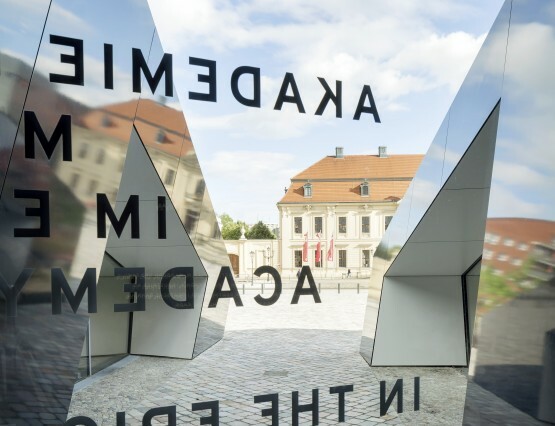 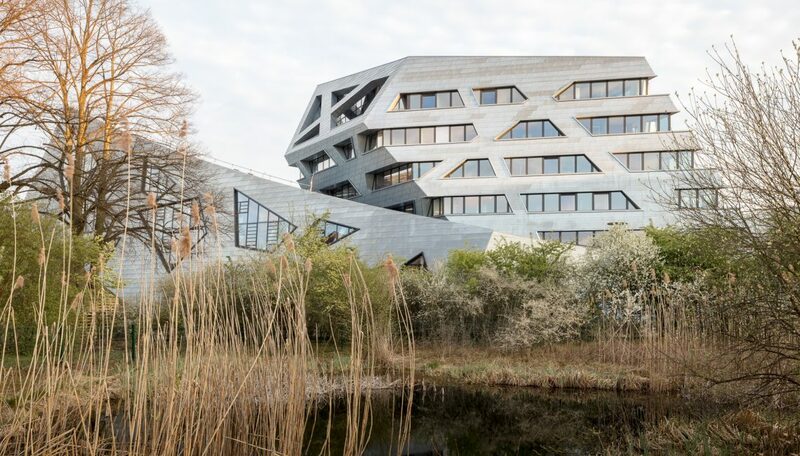 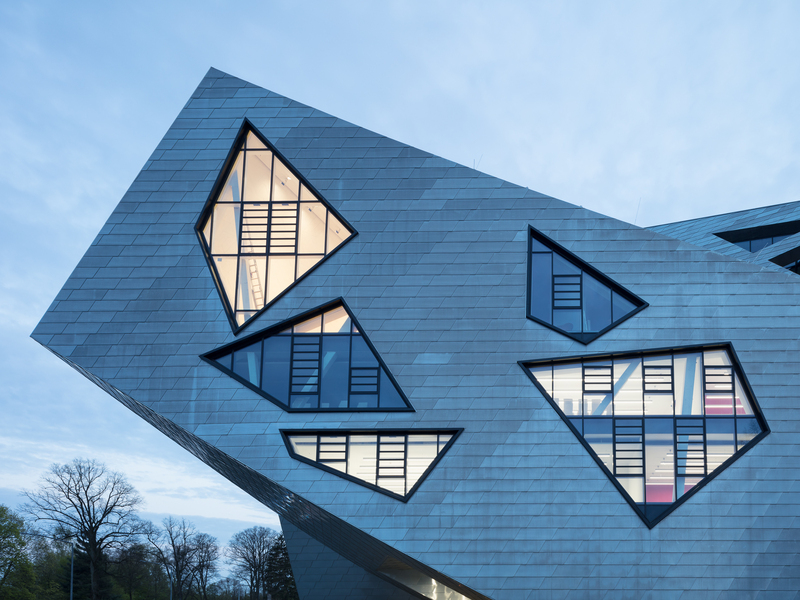 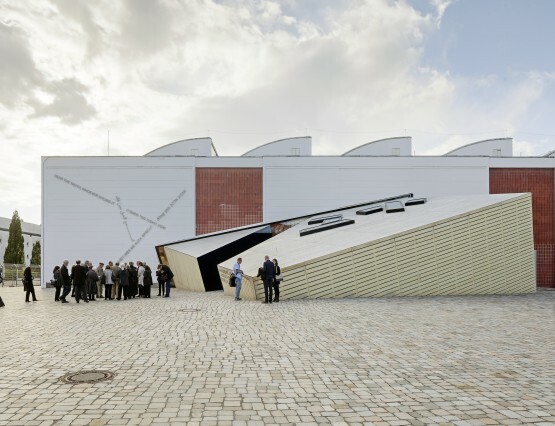 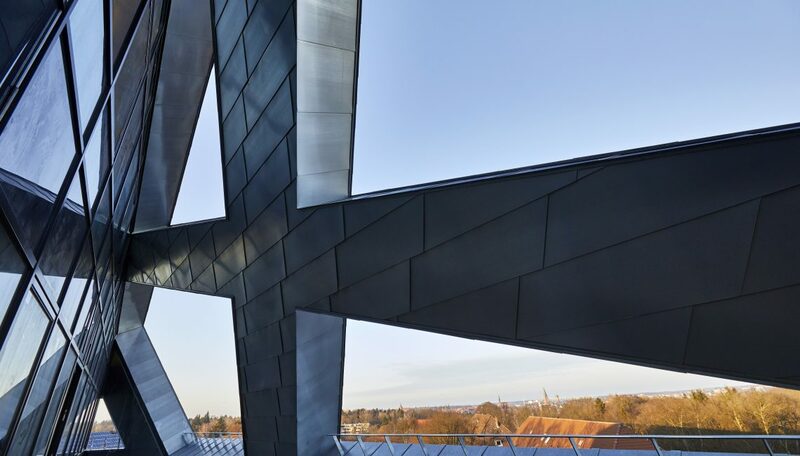 The new Forum at Leuphana University of Lüneburg, designed in collaboration with Daniel Libeskind, provides the campus with a landmark building that promotes the vision of innovation and excellence for the university. 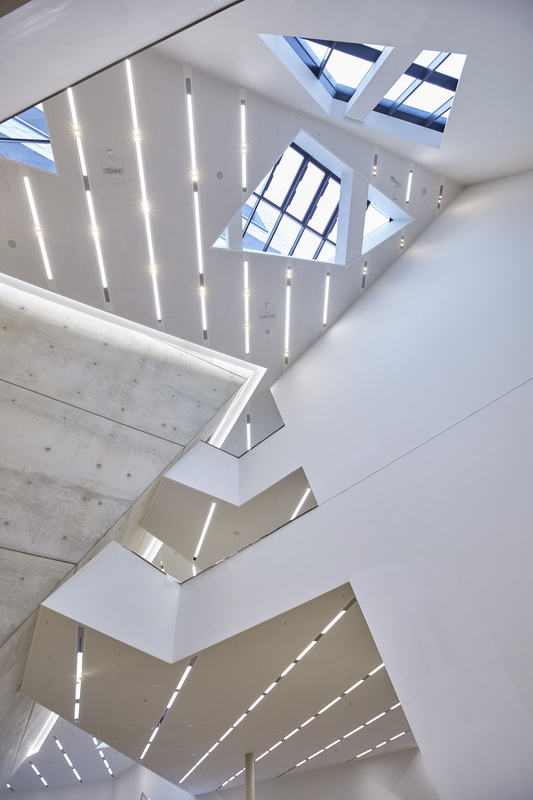 The building integrates the Research Center, the Student Center, the Seminar Center and the Auditorium into one single structure. 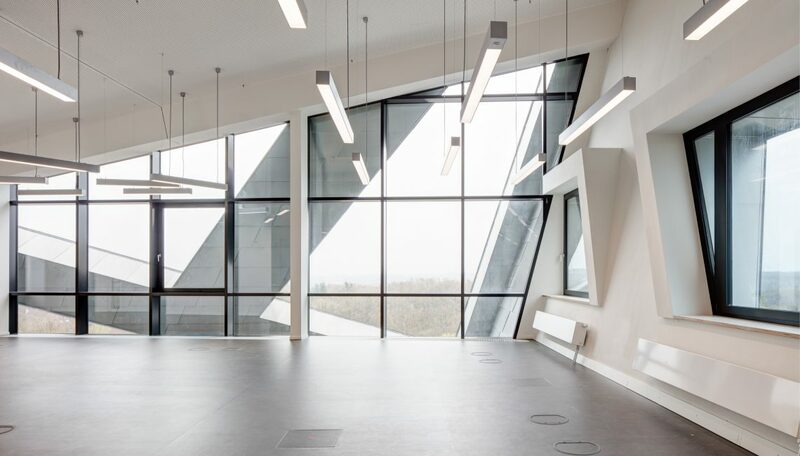 This new configuration promotes cross disciplinary interaction and a dynamic learning environment for the students and faculty alike. 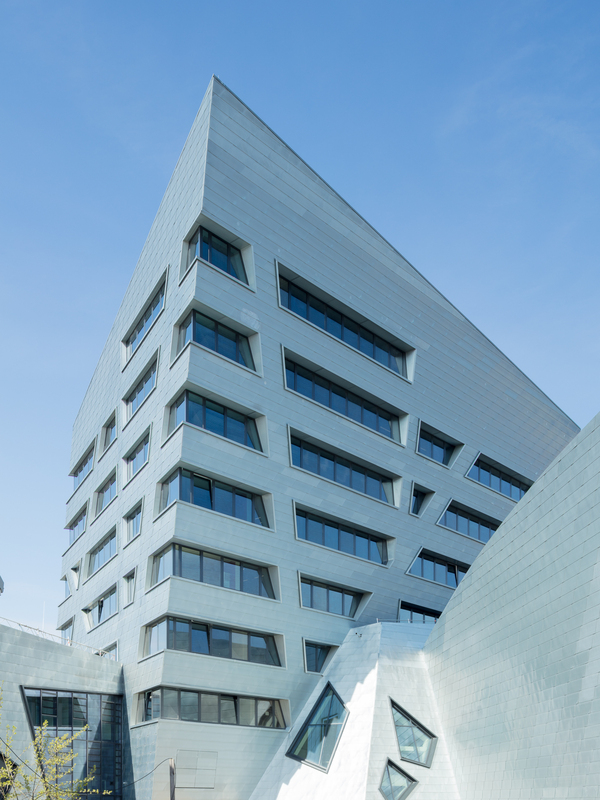 Each of the functions are housed in four individually shaped and mutually interlinking volumes that form a major composite structure achieving the maximum efficiency in terms of usage, structure, energy consumption and architectural impact. 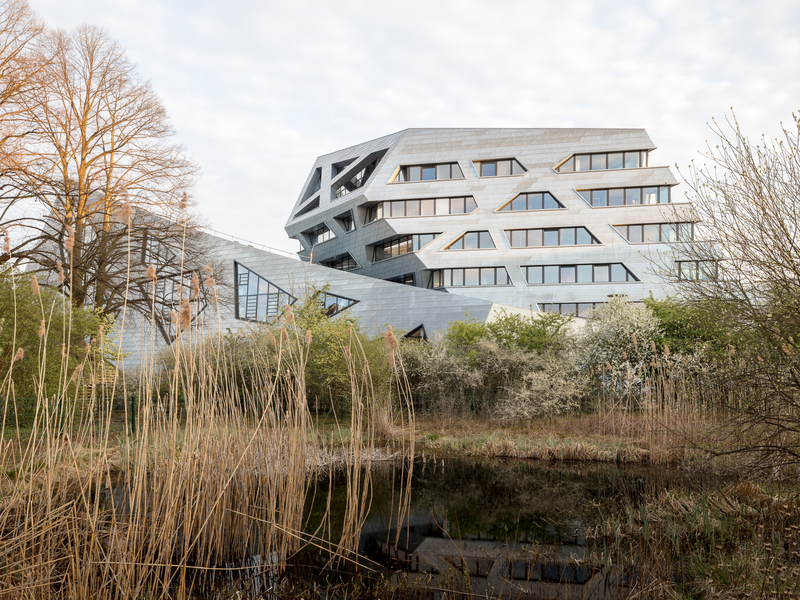 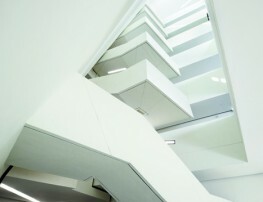 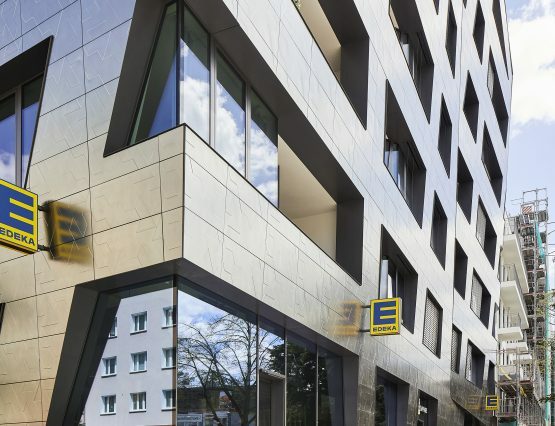 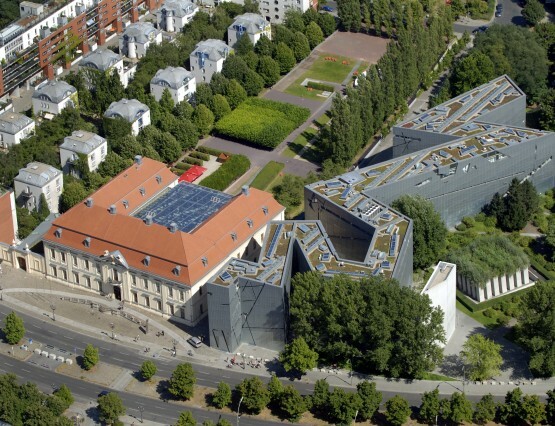 In the development of the design, student participation was integrated as part of a tradition of Leuphana University to engage students in the process of the changing University campus. 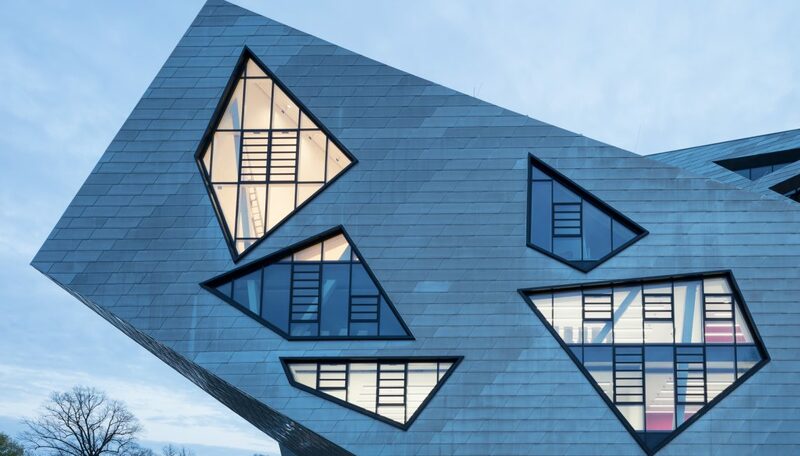 In the seminars held by Professor Libeskind and other teachers at the University, the students had the opportunity to gain insights into the complex questions of various design stages, to bring forward their own perspectives and develop solutions which found their way into the execution of the project. 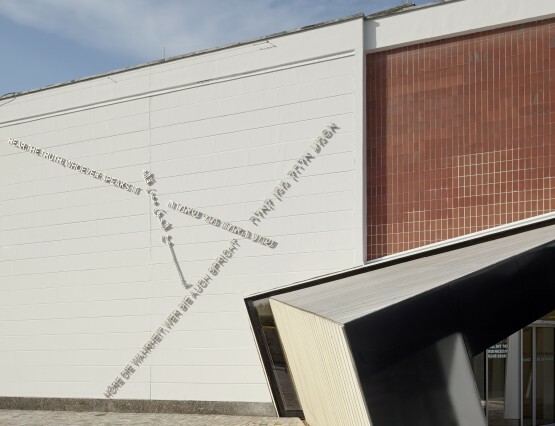 Along with the building’s design, topics that the students engaged included landscape design, the way-finding system, and interior design. 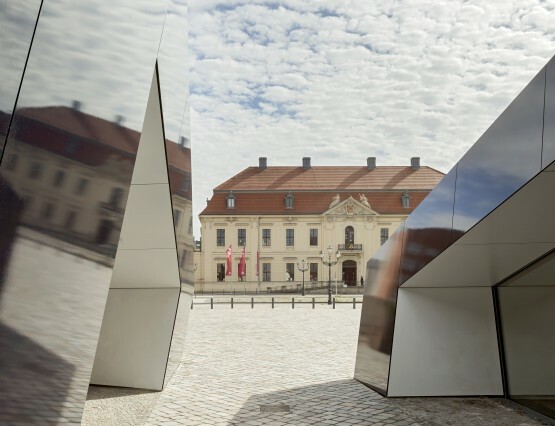 In addition the design for the multi-confessional devotion and meditation “Raum der Stille” room design was the subject of a seminar. 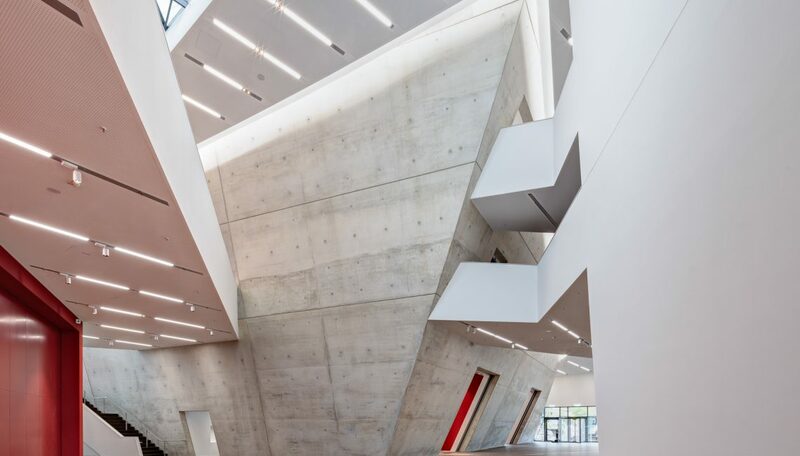 Underlying this participation is the emphasis towards creating an educational space that allows for communication, creativity and an exchange of knowledge that is reflected in the design. 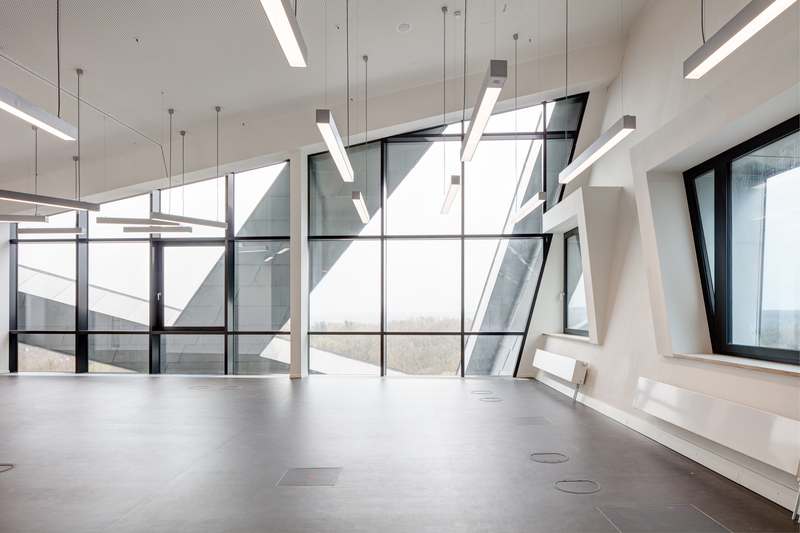 RW+ acted as Architect of Record and provided the detail design, tender documentation and site supervision. 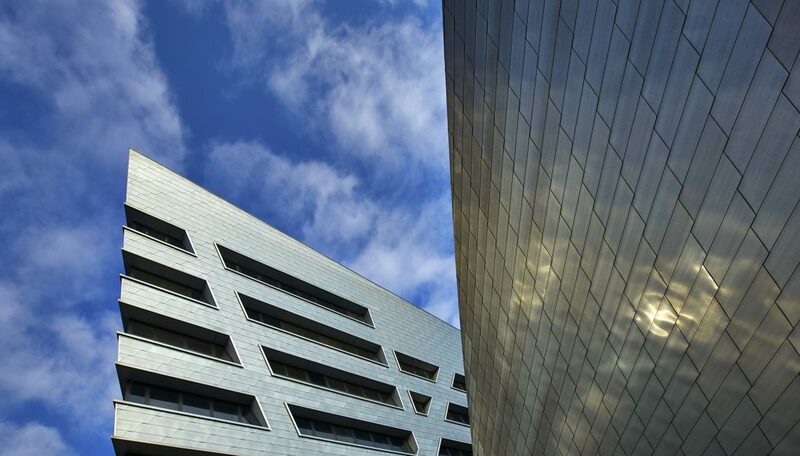 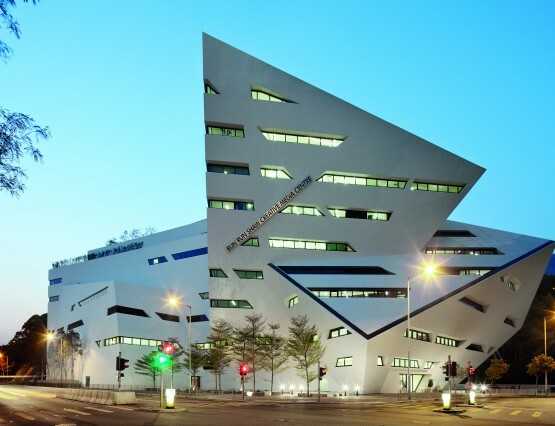 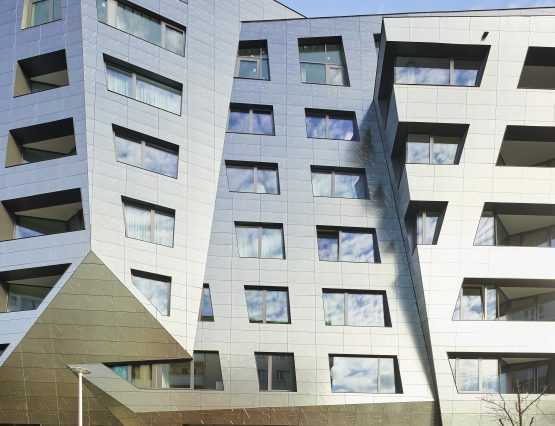 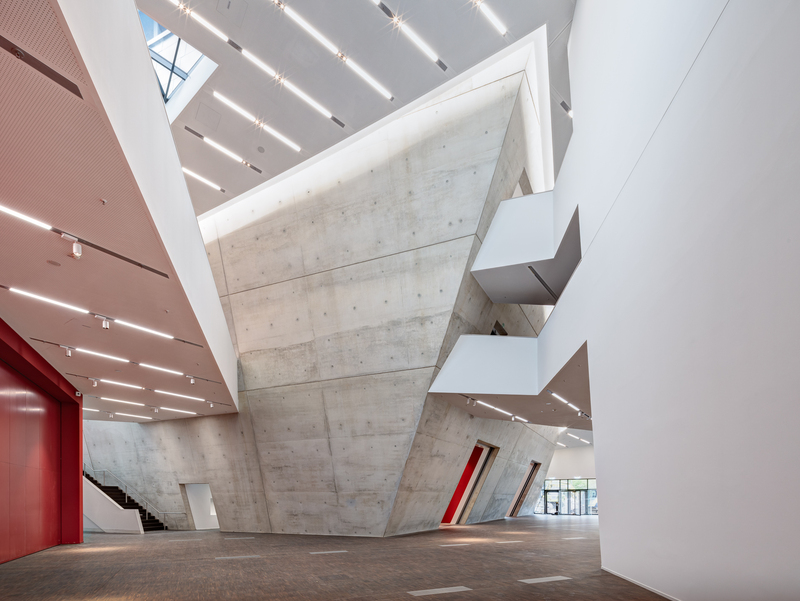 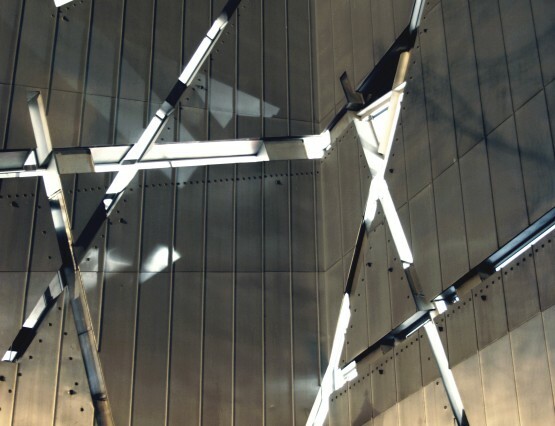 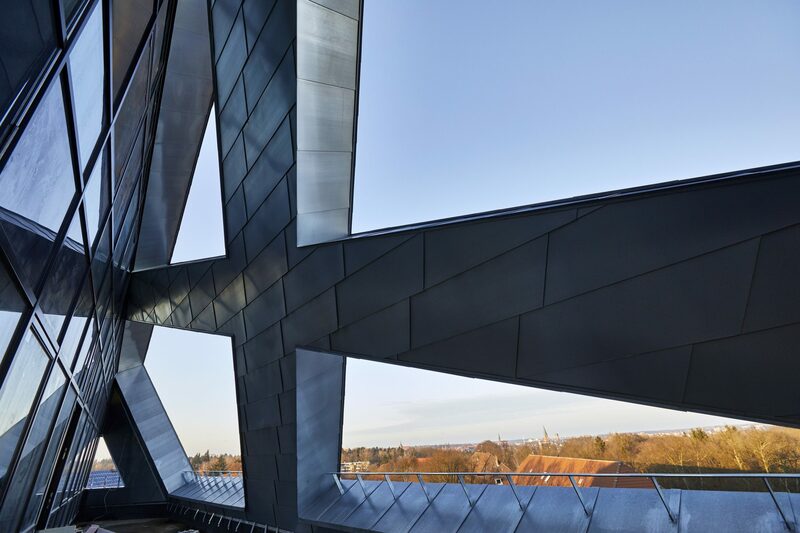 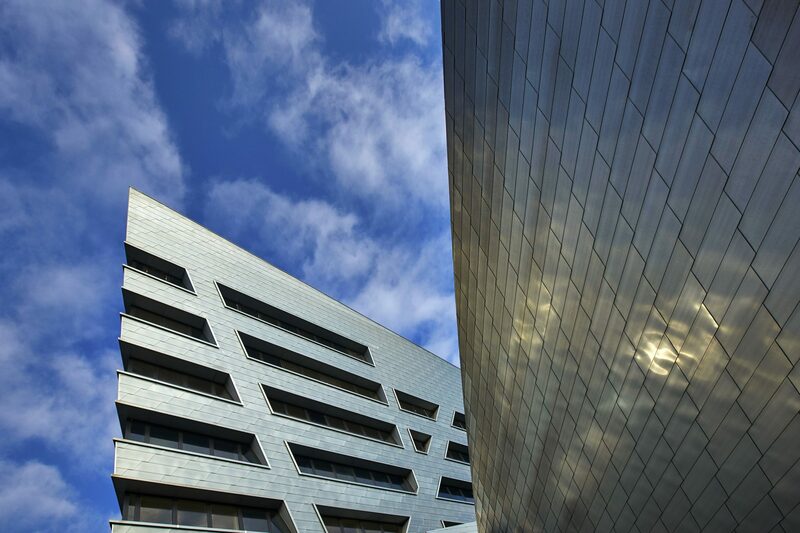 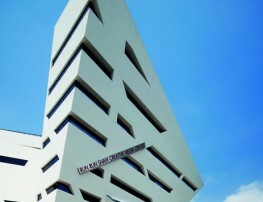 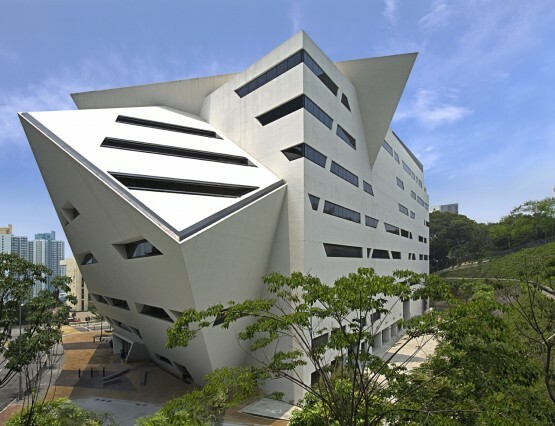 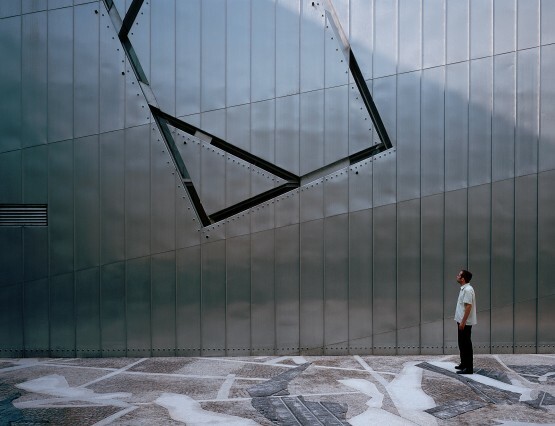 Studio Libeskind provided artistic supervision during design and construction.